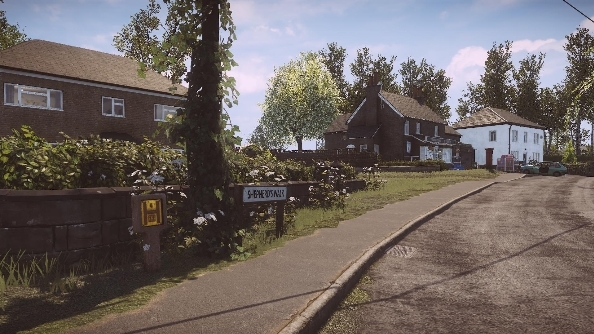 Everybody’s Gone to the Rapture debuted almost a year ago on PlayStation 4, which made everyone in PC land a bit sad. As a game from The Chinese Room, developers of the PC exclusive Dear Esther, we perhaps expected Rapture to land a little more promptly on our platform. But while it’s taken its time, the deserted Shropshire village simulator is finally here, and thankfully in the months of waiting no one has populated it. But how does the translation from console to PC fare? Let’s give this port a good old inspection and check for cracks, flaking paintwork, and wilting flower beds. Tested on an Intel i7 3770k @ 3.50 GHz, 16 GB of RAM, ATI Radeon HD 7970, Windows 10. Everybody’s Gone to the Rapture is set in the fictional village of Yaughton, Shropshire. I happen to live within arms reach of Shropshire, and the very first thing you notice is just how perfectly The Chinese Room have captured rural England. Concrete park benches, battered bus shelters, those yellow gas signs that are always next to street signs. Much of the atmosphere in Rapture is grim and foreboding thanks to its end-of-the-world narrative, but there’s something that overrides that: I feel like I’ve come home. And that’s entirely down to the details in Rapture’s visuals. Saying that, it’s not quite as beautiful as I anticipated. Since the game forces you to plod around the village like someone recovering from knee replacement surgery, you get to absorb every tiny detail, and that makes the rougher areas stand out. The chrome model number decals on the back of a car, for instance, are smeared textures with no body. But for every poor smudge are a dozen beautiful observations: the etched aluminum of a phone’s keypad, the worn pebble-dashing on the side of a house, and the local press magazines sitting on a coffee table. 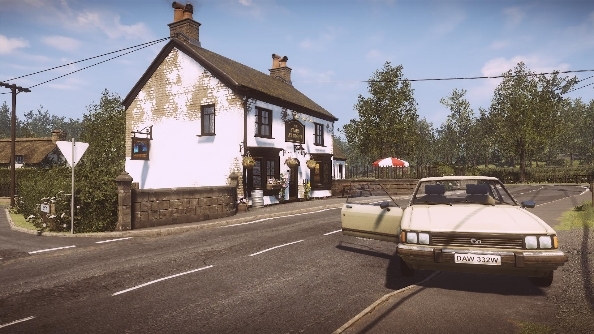 While the game is slow and lacking in any kind of kinetic action, Everybody’s Gone to the Rapture still makes some demands on your system. I’ve been surprised to discover that flicking through the presets result in the kind of performance changes that I’d expect in a much busier game. I expected sky-high framerates on every setting. Not so. In the wonderfully 1980s pamphlet styled menus you’ll find an exceptionally limited amount of options. In visuals your only real choices are screen resolution and a choice of graphics presets (low, medium, high, and very high). 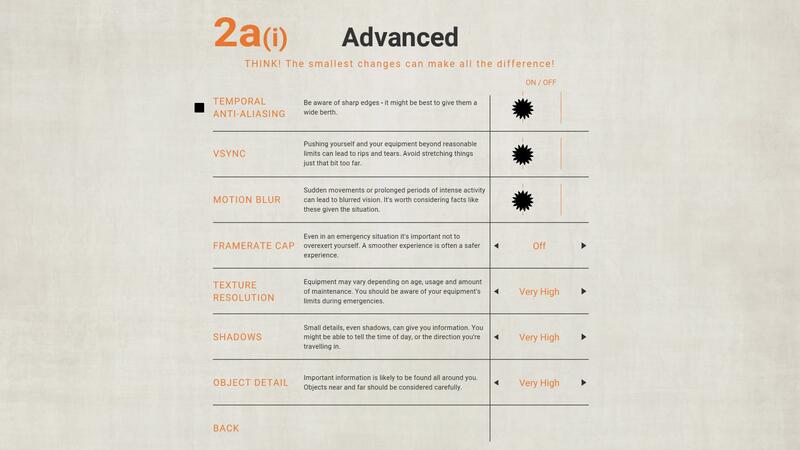 In the advanced tab you have the option to turn on a frame rate limiter, toggle motion blur and antialiasing, and adjust the level of detail in textures, shadows, and objects. A very anemic selection indeed. Between the four different settings you’ll find very little to scrutinise. Indeed, it is difficult to see massive changes between low and very high, as you can see in the screenshots below. On the low preset you’ll find the lighting is somewhat flat and lacking in warmth; it has that sort of artificial, studio-lot effect. The shadows are pretty simple, and some details are not captured. Just look at the lampost shadow to the left of the shot: it’s made up of dots rather than a solid beam of shade. In terms of performance, it mostly bounces between 60 and 70fps. I’ve found that, regardless what setting you use, there’s a lot of fluctuation in Rapture’s frame rates as you explore the various sized areas. Outside, where there’s few trees to block your vision and the draw distance is far, the framerate is hampered. 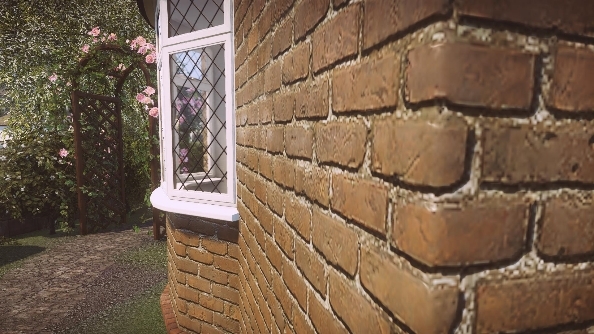 Areas with heavier object density that reduce the distance required to draw helps increase that, but the best frame rates can only be found inside the tiny little cottages and pubs. Pushed up to medium, you’ll immediately notice that there are far more shadows at play. The walls of The Stars at Night pub are cast in shadows from the window sills and roof eaves, and the bushes are now shaded with much more complexity. That lamp post shadow is now a complete line, and the silhouette of the open car door is much more detailed. The lighting is also notably warmer and more natural, but beyond that there’s little extra pizzazz. Even the textures in the road remain identical. The trees are a little leafier though. You’ll still be able to hit 70fps indoors on medium with a similar setup to mine, but outside expect things to dip and dive between the mid 40s and 50s. At high settings the core difference is once again in lighting and shadows, which are now much softer and more natural. That lamp post shadow remains a good example; the edges fade softly rather than being a jagged mess akin to a wood saw blade. Performance at high is vastly similar to that of medium, but expect 60fps to be your upper limit. Cranking the meter all the way to ultra high results in what you can see above and… well… pretty much identical to high, isn’t it? Performance does take an impact on my system though, with most outside action running at around 45fps, topping out at the low 50s. While that performance hit is small, it’s certainly not worth it considering the visual increase is pretty much invisible. While all four of those middle-distance screenshots are remarkably similar, there are notable benefits to using the higher presets when you really start to rub your nose up against the little details. And, as mentioned before, the plodding pace of the game and emphasis on granular exploration means you’ll be doing that a lot. 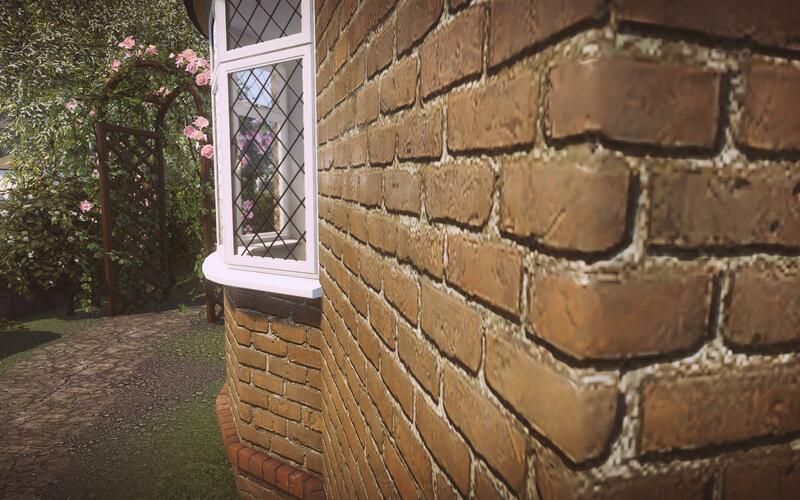 Just look at the difference between the brickwork on low and high settings, and you’ll soon see why you want to have those settings as high up as possible. And when it comes to framerate, lower isn’t necessarily something to be upset about in a game that doesn’t rely on you scoring swift, slick headshots or dodging out of the way of lightning-quick beasties. It’s also worth noting that the game is pretty susceptible to screen tearing all over the place, so playing with vsync turned on is pretty much mandatory. That will, naturally, cap your framerate. If you’ve been following Everybody’s Gone to the Rapture since its early days, you’ll likely know about the hullabaloo regarding a run button. It wasn’t mentioned at all in the PS4 release despite being there, so it’s nice to see it emphasised in big letters on the controls screen, where you can re-bind the five keys required to play. By default sprint is bound to shift, and you’ll need to hold it down a good few seconds before you see any increase in speed. Realistically, the function should be called ‘light morning jog’. 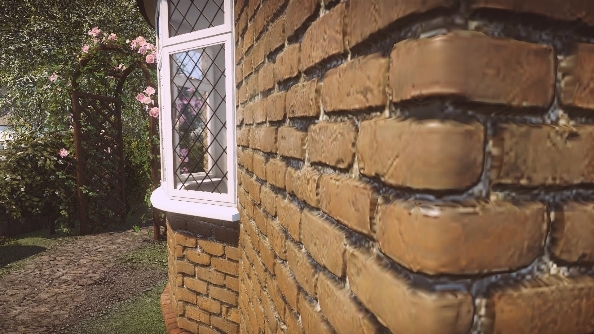 Everybody’s Gone to the Rapture isn’t a massively detailed or glamourous port. On the whole, it feels like The Chinese Room have done the bare minimum required to add in PC-centric options. The lack of proper anti aliasing options feels downright bizarre, and there’s no field of view slider to be found at all. But, if we’re honest, it doesn’t matter all too much. On the whole this is a handsome game; one that performs without any real issues or bugs, and has no gameplay features that would demand constant setting tweaks. As such, you can lay to rest any fears of it bringing the apocalypse to your playing experience.